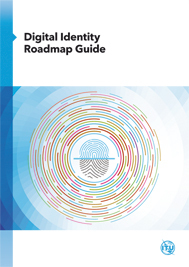 The Digital Identity Roadmap Guide is a comprehensive set of guidelines for identifying the main aspects that need to be addressed during the design, development and implementation of a National Digital Identity Framework. It is the result of a deeply collaborative multi-stakeholder effort aimed at strengthening the knowledge and expertise of professionals and policy makers working in the field digital identity and, more generally, the digitization of government services. Descriptions of the overarching principles that lay the foundations for designing, developing and implementing a National Digital Identity Framework are included in this guide, which also outlines four critical Focus Areas, lists the main critical success factors and the conflicting principles national leaders and policy makers should be aware of in making certain design decisions, and illustrates a step-by-step approach that could be adopted in managing the National Digital Identity Framework throughout its entire lifecycle. 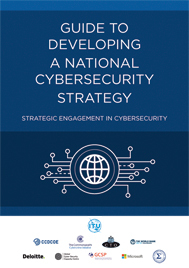 The guide is complemented by a comprehensive set of case studies from countries which have successfully set up National Digital Identity Systems using a range of different approaches, and provides a brief survey of the main technical standards available to date. FAO and ITU, together with partners, have been working together in addressing same of the challenges faced in agriculture through the use of sustainable ICTs. One of the latest developments is the increase in the use of small, unmanned aerial vehicles (UAVs), commonly known as drones, for agriculture. 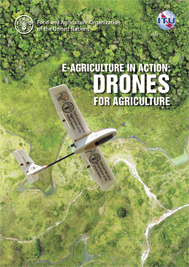 Drones have a huge potential in agriculture in supporting evidence-based planning and in spatial data collection. Despite some inherent limitations, these tools and technologies can provide valuable data that can then be used to influence policies and decisions. 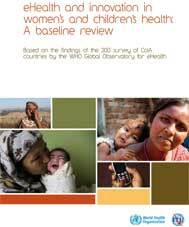 Improving the health of women and children is a global health imperative, reflected in two of the most compelling Millennium Development Goals which seek specifically to reduce maternal and infant deaths by 2015. 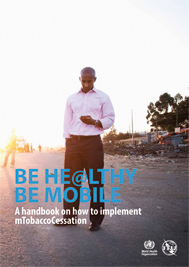 This joint report by the World Health Organization (WHO) and the International Telecommunication Union (ITU), based on a 64-country survey, demonstrates - as never before in such detail - the vital role that information and communication technologies (ICTs) and particularly eHealth are playing today in helping achieve those targets. It demonstrates how, every day, eHealth is saving the lives of women, their babies and infants in some of the most vulnerable populations around the world, in a wide variety of innovative ways. 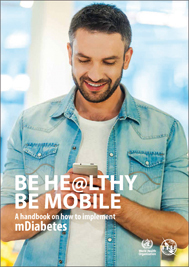 Worldwide, the application of information and communication technologies to support national health-care services is rapidly expanding and increasingly important. This is especially so at a time when all health systems face stringent economic challenges and greater demands to provide more and better care, especially to those most in need. 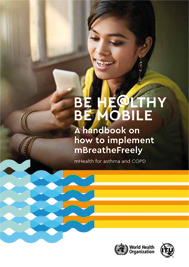 The National eHealth Strategy Toolkit is an expert, practical guide that provides governments, their ministries and stakeholders with a solid foundation and method for the development and implementation of a national eHealth vision, action plan and monitoring framework. All countries, whatever their level of development, can adapt the Toolkit to suit their own circumstances. 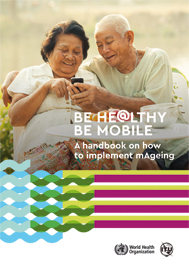 Representing one of the most significant collaborations in recent years between the World Health Organization and the International Telecommunication Union, the Toolkit is a landmark in understanding what eHealth is, what it can do, and why and how it should be applied to health care today. 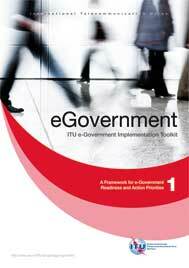 "This paper on e-government readiness assessment serves as an introduction to the "ITU e-Government Implementation Toolkit". The Toolkit, to be developed in several modules, will examine key dimensions of the e-government environment to help decision makers identify priority areas for action, based on their level of readiness and national development strategies. " 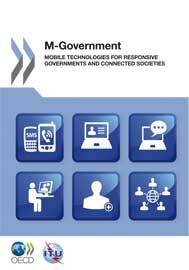 This report aims to foster a better understanding of how to leverage the economic and social impacts of the use of mobile technologies and applications to enable ubiquitous governments, sustain public sector innovation and transform public service delivery. 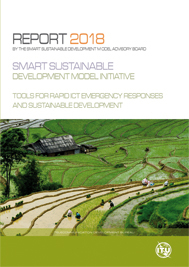 The report is a joint-product of the collaboration between the International Telecommunication Union (ITU), the Organisation for Economic Co-operation and Development (OECD) and the United Nations Department of Economic and Social Affairs (UNDESA). 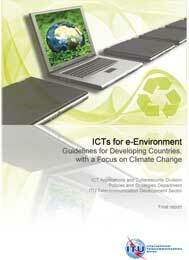 The objective of the e-Environment Toolkit is to help countries, jurisdictions, communities and organizations, particularly those in the developing world, assess the contribution that information and communication technologies (ICTs) can make to reduce energy consumption and greenhouse gas (GHG) emissions, as part of a national climate change strategy and action plan. "The International Telecommunication Union's Development Bureau mandate is to assist developing countries to acquire the knowledge and develop the founding blocks for an information society. One of these founding blocks is cybersecurity. In order to compile general but adequate guidelines on such a vast area, research on existing legislation in developing countries and multinational frameworks is examined on both a content level, encompassing intellectual property, digital rights management and anti-circumvention, and a network security level, incorporating areas such as technical standards and integrity of data, with a close look at the security of information infrastructure (privacy and data protection) and computer-related crimes (spamming and identity theft), among other topics. " "With the active support of more than 150 ITU Member States on six continents and with assistance provided to some 120 developing and least developed countries, ITU E-Strategies is one of the largest e-empowerment programmes of its kind in the world. 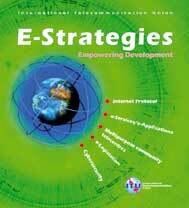 Launched with the aim of using the power of latest generation technologies to spur social and economic development in the world's poorest regions, E-Strategies boasts an extensive global catalogue of activities, a growing network of key partnerships and the cooperative involvement of many of the world's governments and leading private sector players. " 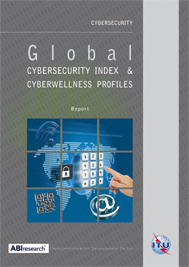 This report presents the 2014 results of the GCI and the Cyberwellness country profiles for Member states. It includes regional rankings, a selected set of good practices and the way forward for the next iteration. 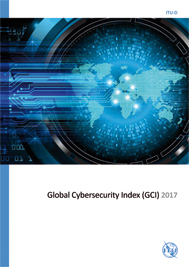 The Global Cybersecurity Index (GCI) measures each nation's level of commitment to the ITU's Global Cybersecurity Agenda, with the aim of highlighting potential areas for improvement and driving cybersecurity to the forefront of national plans. 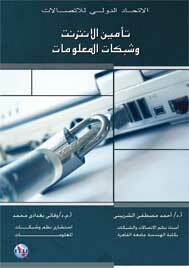 Cyberattacks are on the rise. 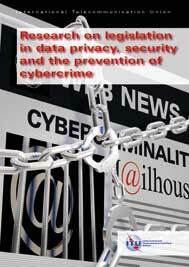 The media constantly report about data breaches and increasingly sophisticated cybercrime. Even governments are affected. At the same time, it is obvious that technology alone cannot solve the problem. What can countries do? Which issues can be addressed by policies and legislation? How to draft a good law? 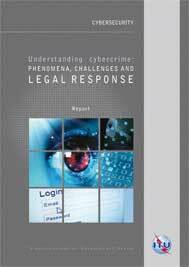 The report assists countries in understanding what cybercrime is about, what the challenges are in fighting such crime and supports them in drafting policies and laws. Sustainable Development Model (SSDM) Initiative. The advice of the Working Groups support the work of ITU by sharing recommendations within the framework of the SSDM Initiative. 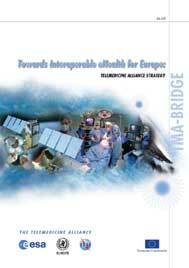 This report provides concrete proposals and hands-on tools for those engaging in deploying rapid response emergency telecommunication for disaster relief, in terms of resource mobilization, training of volunteers and need regulatory measures and guidelines for the development and the smooth trans-border movement of telecommunications equipment in time of emergencies. 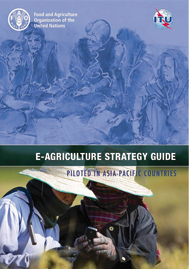 The E-agriculture strategy guide is an attempt to provide countries with a framework to develop their national e-agriculture strategies. E-agriculture strategies will help to rationalize both financial and human resources, and address ICT opportunities for the agricultural sector in a more holistic and efficient manner. This will help improve the livelihoods of rural communities and stakeholders involved in agriculture and rural development. Mobile communications and technology are transforming the lives of millions, and increasingly represent an immense opportunity to transform the lives of billions more who today remain excluded from such an opportunity. 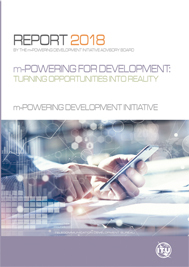 This report documents the achievements of the three Working Groups of the m-Powering Development Initiative. In response to both the challenges and the opportunities from ICT contributions to political, social, economic and environmental development, the advice of the Working Groups support the work of ITU by sharing recommendations within the framework of the m-Powering Development Initiative. 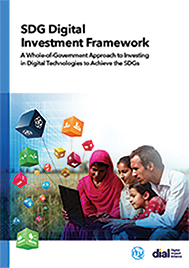 This paper sets out an SDG Digital Investment Framework which is intended to be the start of a new dialogue with the digital investment community, building on the global Call to Action 1 presented at the UN General Assembly in 2018. It encourages a whole-of-government approach and sets out to help governments address key strategic investment questions and choose effective, scalable technology-based solutions - and in particular help them to onsider using ICT Building Blocks for economies of scale and maximum return on investment. 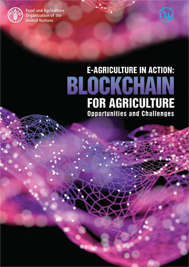 This publication aims to demystify the technology, provide some thoughts on the opportunities and challenges in implementing blockchain-based systems as well as document some case studies on the use of blockchain for agriculture. 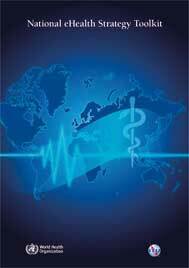 "The concept of ICT adoption in healthcare delivery has attracted international initiatives with huge budgets, as a mechanism for bridging the global digital divide with equitable care delivery. 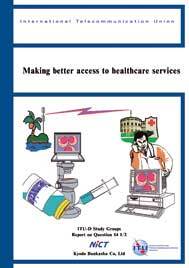 e-Health is viewed as a major mechanism of Information Communication Technology (ICT) adoption, for proliferating equitable care delivery from palliative, curative to preventive care in the top cities to remote rural areas, especially for developing countries. e-Health delivery to remote locations relies on three major links between patient and care provider-Telecommunication infrastructure, back-end computing/storage infrastructure and End-User platforms. 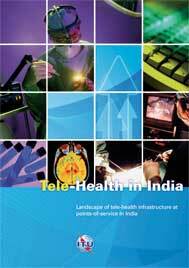 Case-studies and data from several pioneering e-Health initiatives in India have been gathered. 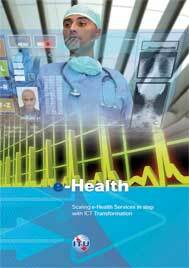 However, the emphasis of this paper is more on the method used rather than the data samples, so that a typical data-driven governance system may use the same method and fit relevant data from their own demography to diligently prioritize investments with more accurate expectation of outcomes, by scaling e-Health services in step with ICT transformation. " 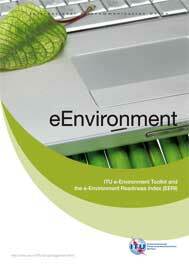 Please contact sales.online @ itu.int for a complimentary electronic copy of this handbook. 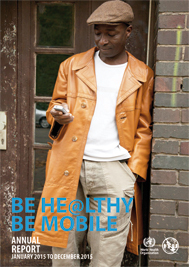 ITU is convinced of the usefulness of TIC to improve the quality of life around the world. 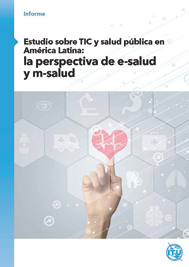 In this study in the Americas, an analysis framework is applied to assess and present ehealth and mhealth experiences in Latin America that can enlight public policy development to learn from and apply them in other similar contexts.